Home :: What is a Hard Drive (HDD) Caddy? Today, upgrading a laptop's hard drive is so much simpler. Most laptops today can be upgraded as a DIY project. Most laptops have its hard drives in a hard drive carrier (also known as a notebook hard drive caddy or notebook hard drive tray/bracket). With the hard drive inside a hard drive caddy, users can easily remove or re-insert the hard drive into the notebook. Each notebook model has a different type of caddy. 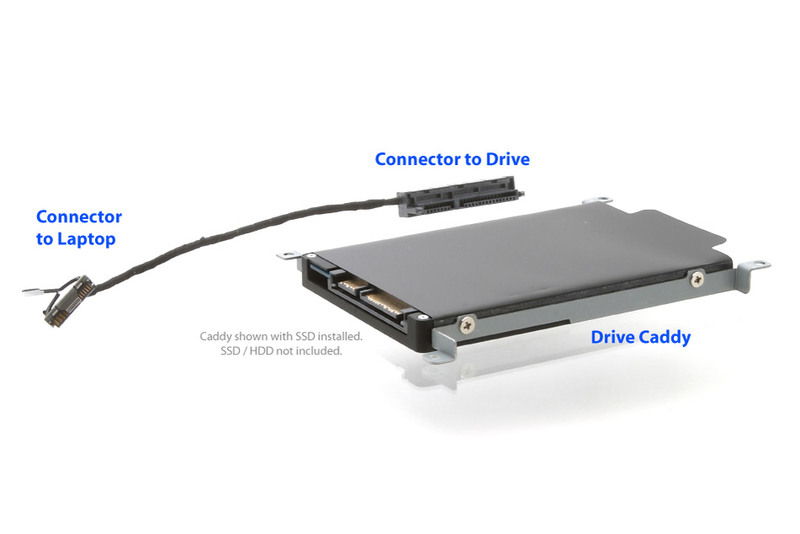 Some drive caddies are as simple a plastic bezel that attaches to the front of the drive. 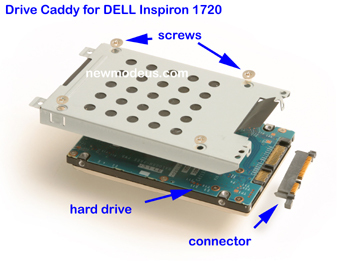 Some caddies are more involved including a metal bracket (or enclosure), plastic bezel, drive connector (sometimes called interposer), cable and screws. Most laptops have one hard drive bay and one optical drive bay. There are some laptops that have two internal hard drive bays and an optical drive bay. 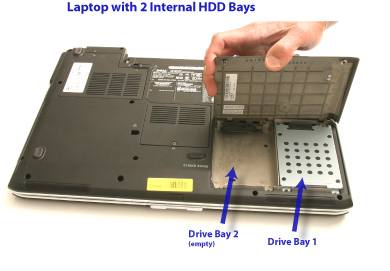 Laptops with two internal hard drive bays would have a caddy for its primary/main hard drive and would require another caddy to mount the a second hard drive or solid state drive in its 2nd hard drive bay. For laptops with one hard drive bay and one optical drive bay, you could still add a 2nd hard drive internally in the laptop. This is done by replacing the optical drive with the 2nd hard drive (using a drive caddy specifically made to fit the optical drive bay).